It is the novice motorcyclists responsibility to ensure that they only ride a motorcycle that is approved under the LAMS Scheme. This register of approved by Motorcycles is managed by VicRoads. Below is a list of approved motorcycles with an engine capacity of 261 – 660cc. The list is up to date at the time of writing but we recommend that you check the VicRoads prior to making you final decision. We will attempt to update this list as new models are released and are suitable for inclusion. VicRoads have excluded some motorcycles from the LAMS list due to various reasons as they believe that they are unsuitable for learners. The motorcycle must have an engine capacity of less than 661 cc. Have a power-to-weight ratio of 150 kilowatts per tonne or less. In addition to the list all motorcycles manufactured prior to 1960 that are 660 cc. or less are also included. A the moment all fully electric motorcycle are also included in the list of LAMS approved bikes. We would not be surprised as this changes in the near future as a few manufacturers are devloping Electric bikes and we wold expect that will be more powerful than the existing offerings. Every month there are new models being released. If you do not see the model here which you are considering purchasing check with the VicRoads website. 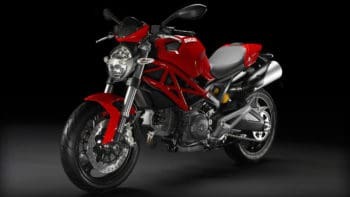 Motorcycle Manufactures are constantly releasing new models subsequently we recommend chec ing with the Vic Roads Website to ensure the model you are considering is a LAMS Approved bike.